Today’s education in the media blog looks at the national funding formula, school finances, record numbers of mothers going back to work and the reversal of the driving ban for women in Saudi Arabia. The Secretary of State made an announcement earlier this month about the new national funding formula, backed by £1.3bn investment in schools. Under the formula, no school loses money, with historic changes to the system that will mean all areas are funded fairly and according to their needs. Following this, misleading analysis has been published on the 'school cuts' website, which is supported by various trade unions, based on school budgets from two years ago, rather than the new data taking into account the new funding formula and the additional investment published earlier this month. The independent Institute for Fiscal Studies has confirmed that our additional investment means that across the country the total schools budget will now be maintained in real terms per pupil through to 2019-20. 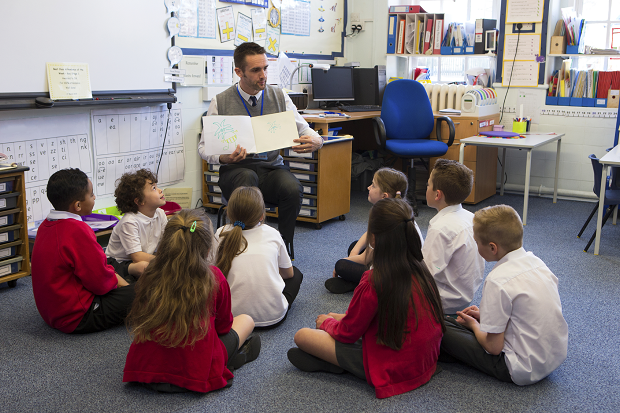 The union has also suggested that a large percentage of schools will have their per pupil funding cut – this is untrue. Thanks to our £1.3bn additional investment, the new national funding formula provides for cash gains in respect of every school – at least 1% per pupil by 2019-20 for every school, and up to 6% per pupil for those schools that are currently under funded. At the same time, we are introducing minimum per pupil funding levels so that secondary schools will attract at least £4,800 per pupil and primary schools at least £3,500 per pupil through the formula by 2019-20. You can see accurate figures illustrating the impact of the new national funding formula and our additional funding here. The website also fails to take account of the fact that pupil numbers will rise over the coming years. Because the vast majority of schools’ funding is on a per pupil basis, more pupils will bring more money in to schools. So this in itself will drive increases in funding in many areas, over and above the protection of per pupil funding in real terms. Finally, the website suggests that the only way schools can make an efficiency saving is to reduce its number of teachers. This is untrue. Benchmarking shows there is scope for schools to make over £1 billion of savings on non-staff costs, such as energy and procurement. In fact, teacher numbers are rising, and are expected to continue to rise. The union’s figures are fundamentally misleading. They are based on historical data and do not reflect the situation in our schools today. They also ignore the fact that schools funding is driven by pupil numbers and, as pupil numbers rise, the amount of money schools receive will also increase. As the independent Institute for Fiscal Studies has confirmed, overall schools funding is being protected at a national level in real terms per pupil over the next two years. At the same time, our historic improvement of the school funding system – backed by an additional £1.3bn of extra funding – will replace the current post-code lottery which saw huge differences in funding between similar schools in different parts of the country. Our new formula will allocate a cash increase of at least 1% per pupil to every school by 2019-20, with much higher gains for underfunded schools. You can read more on the National Funding Formula, include comments from stakeholders on our blog from last week here. Yesterday, 26 September 2017 an article was released in the Times about a third of academies being in deficit. The article, based on a parliamentary statement by Schools Minister Nick Gibb, looks specifically at in-year deficits – which are significantly different to end of year deficits. To say that in year figures mean academies are in deficit is an oversimplification. Any in-year movements can simply indicate that schools are drawing on their reserves for a range of planned and sensible reasons – for example to spend on capital projects. Academies can also build up reserves in order to accommodate longer-term plans, such as capital developments and financial investment. This is prudent financial planning. There is no evidence that academy trusts are accumulating cash at the expense of educational delivery. It is also important to note that on the latest available data, the number of schools reporting in-year deficits fell between 2013-14 and 2015-16 and represents a tiny percentage when compared to the number of academies running a surplus. We are delivering the biggest improvement to the school funding system for well over a decade and our national funding formula will create a fairer system, increasing the basic amount that every pupil will get. We trust schools to manage their own budgets and only a small percentage are operating with a deficit, with far more schools having with a budget surplus. In 2015 to 16 England’s schools had an overall cumulative surplus of almost £4.5billion, against a cumulative deficit of £0.2billion. We continue to provide support to schools to help them use their resources in the most efficient way so they can deliver the best value for the taxpayer. Yesterday the Office for National Statistics (ONS) released new data showing that that the number of mothers returning to work after having children is at a record high. The Guardian quotes ONS statistician Emily Glastonbury saying government policies like flexible working practices, shared parental leave and the increased availability of free childcare are having an impact. The government wants to help people who want to get back into work, particularly if they have taken time out for caring responsibilities. We have introduced shared parental leave, new rights to request flexible working, and doubling free childcare to ensure that we are tackling the barriers for mothers who want to return to work. We want to help even more people who want return to work to be able to do so, which is why we are investing £5m to increase opportunities for people returning to work after caring for those at home, and have launched new returner programmes across the public sector. Minister for Women and Equalities Justine Greening has welcomed the news that Saudi Arabia has reversed its ban on women being allowed to drive. On Twitter last night (26 September) she said that it is a “step in the right direction”.